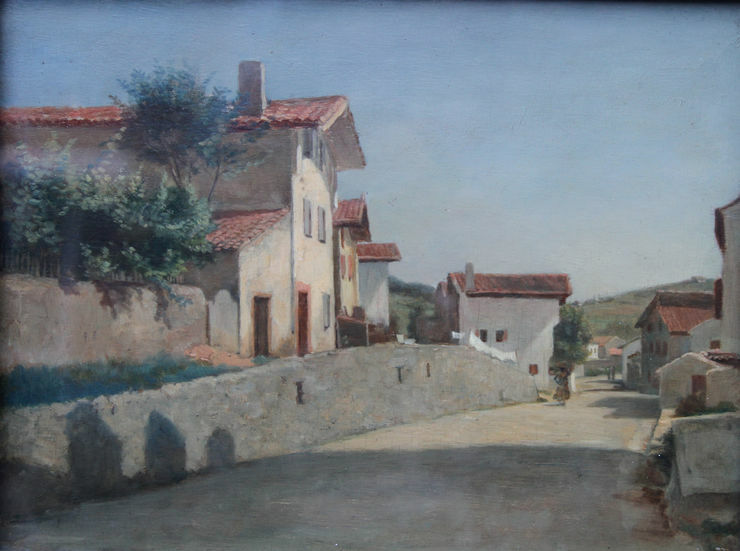 An original oil on panel painted circa 1860 by Pierre Edouard Frere. This French landscape painting was sold at his studio sale at Christies in 1887, the year after his death. The lot number was 82 and it was titled The Road to St Sc***. During this period he painted in and around Fontainebleau. Very fresh colour and in excellent condition. This is a lovely example of his work and an example of the beginnings of French Impressionism. He painted other landscape scenes at Fontainebleau and this was painted during that period. Lower right Christies studio stamp. Christies artist studio sale 31 March 1887- Lot 82 details verso. Housed in its original gallery frame which compliments the picture, 22 inches by 19 inches. In excellent condition. 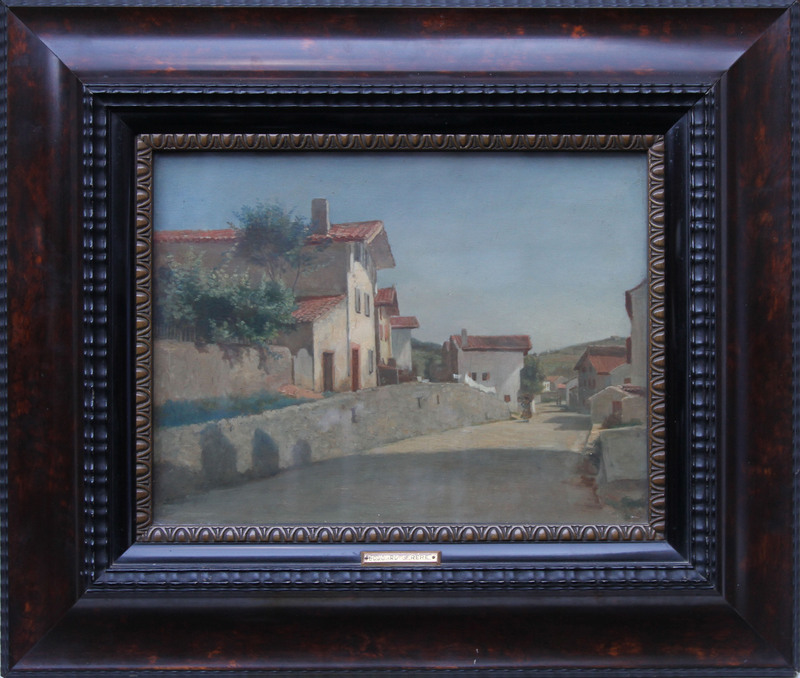 Oil on panel, image size 16 inches by 12 inches approx and in untouched gallery condition.